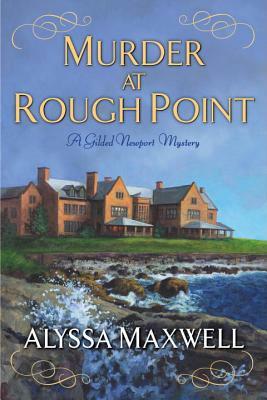 Alyssa Maxwell began a love affair with the city of Newport when visiting friends there back in her high school days. Time and again the cobbled lanes and harbor‑side, gas‑lit neighborhoods drew her to return, and on one of those later visits she met the man who would become her husband. Always a lover of history, Alyssa found that marrying into a large, generations‑old Newport family opened up an exciting new world of historical discovery. From the graveyards whose earliest markers read from the seventeenth century, to original colonial houses still lived in today, to the Newport Artillery Company whose curator for many years was her husband’s grandfather, Newport became a place of fascination and romantic charm. Today, Maxwell and her husband reside in Florida with their two adult daughters, but part of her heart remains firmly in that small New England city of great significance, a microcosm of American history spanning from before the Revolution through the Civil War, the Industrial Age, the Gilded Age, and beyond. For more info please visit www.alyssamaxwell.com.